I adore that bow shirt. Too cute! Lovely bow shirt! I love it. The bows are TOO CUTE! Love this whole look! such a chic outfit <3 <3 Love the sweater! i've been on a pink kick lately too. especially with clothes and makeup. love your top and cardi! they're both so cute. I am such a fan of bows -- too cute! I think bows can make any outfit special :) These little ones are the perfect touch. 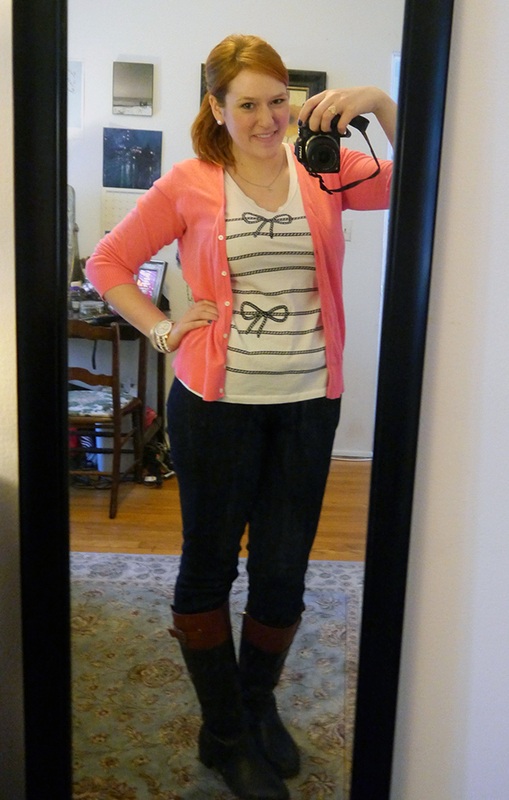 I love the bows on your shirt, and the color of your cardigan! Love your bow top, super cute!